Addiction was supposed to be something that happened to other people. And by other, I obviously mean weaker. I was too cool, too confident, and too strong. I don't drink. I don't smoke. I don't do drugs. I've never been one for temptation. In college, I worked as part of an HIV intervention project and watched, bewildered, as drug addicts struggled with behaviors that could kill them. And secretly, even as I helped them, even as I genuinely had compassion for their situation, a tiny voice inside of me whispered, what idiots! I'd always been a card player. My family's social time surrounds epic battles of gin rummy and crazy eights. But it was nothing like the first time I played $1/2 No Limit Texas Hold Em Cash Poker at a casino in Lake Tahoe, Nevada. I sat down at the table with $50 and absolutely lost my mind. I didn't get thirsty. I didn't get hungry. I didn't have to go to the bathroom. I had absolutely no emotions or physical urges other than to see the next card. I am not exaggerating when I tell you that the only thing that got me off that table was my husband threatening to leave me if I didn't come back to the car. It was only when I reclined my passenger seat and checked the time that I realized I'd been at the poker table for over eight hours. And the only impulse I had was to go back inside. What if I faked having to go to the bathroom (not too hard when you haven't peed in eight hours) or being hungry (ditto) so I could do inside and sit back down and maybe the husband wouldn't notice? What if we crashed the car? Then we'd have to stay at the casino! Brilliant! Don't think I didn't take a hard look at the steering wheel. Cuz I did. What if this was my calling? My intended career! After all, I was up almost $500. I could do this for a living. What kind of husband would keep me from my dreams? Could I be with someone who didn't support me??? The next day I pretended to enjoy a day of snowshoeing. A night of videogames. Breakfast, lunch and dinner. But every moment. Every molecule. Every compulsion. Was on a game of cards. I played imaginary hands in my head. Had entire fake conversations with a full table of nonexistent players. This went on...for a while...let's say. Even to this day, I have moments of drifty daydreams. wow martha...that was pretty amazing to read. i always think of myself as compassionate about addicts, but i've never understood the gambling addiction. this is a good reminder that not understanding it doesn't mean it's not real for other people. That's wild. I've never felt that compulsion, but I've been to Vegas with those who do, and there is a look in their eyes that you don't see even from alcoholics who haven't had a drink in a week. So interesting. holy crap-eight hours. 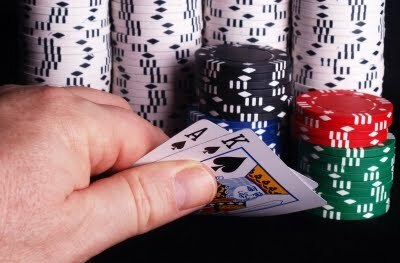 I can totally see you obsessing over Poker. However, I am very happy that you decided to stay with your husband and leave the table. *Dude*! You were up $500! You should have stayed! Just kidding. I remember being in Atlantic City and seeing a kind of Super-Sized ATM where you could mortgage your house instantly. It gave me a sick feeling in my gut, thinking of someone in the thrall, putting their family and themselves at risk...for what? But I guess that's exactly what makes addiction so soul-destroying. Juliet-wow that is scary. My first time in Las Vegas there was a woman outside of a casino trying to get someone, anyone to buy her engagement ring. :( Same thing, very sick feeling in my stomach. I've often wondered if I would have felt differently had I been losing. Maybe I should head to Vegas and find out...haha...kidding...but not. I probably shouldn't mention this, but El Bobbo was a professional blackjack player for a while in Vegas. Before I met him. Played with a team. He maintains, as Mysti said, that it was more of a sport. Maybe for some. I don't know. Now he plays on-line poker constantly, which bugs the you know what out of me, even if it isn't for money. It seems like the only common ground he and my sisters' husbands have is that they can happily play poker together during family gatherings. One of them is a poor sport, though. The other guys think that's hysterical. Anyway, interesting post, Martha. Okay, Pens -- no retreats in Nevada or on Indian Reservations, right? Luckily, this gambling addiction does not extend to blackjack, craps, or even poker games against the house or even tournament poker games. Only, specifically, cash poker hands against other people. Lynn, I also had a run in with online poker that, too, has its own set of crazy thoughts. I still go to gambling institutions a lot, but I need to mentally prepare myself and put in safety nets. It's ugly.